"Genius is one percent inspiration and ninety-nine percent perspiration. 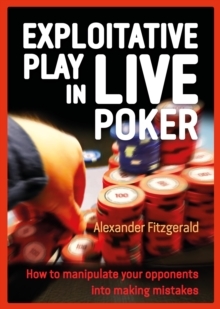 - Thomas Edison The Myth of Poker Talent is a unique book and is the culmination of renowned poker trainer Alex Fitzgerald's work with over 1000 students over a 10 year period. Alex has discovered what makes a winning poker player and here's the good news. 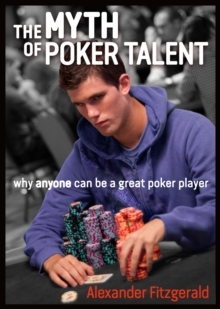 It has nothing to do with poker talent. If you want to excel at the game you'll need to buy this book, study Alex's method and work hard - but you don't need talent. Alex's method focuses on understanding generic poker situations and not specific hands. As a highly experienced teacher, he expresses his ideas in simple, easy-to-understand language. The Myth of Poker Talent will teach you:* A model of poker" built from scratch* An understanding of every poker tool* Why much of what experienced players think they know is actually wrong ...and much, much more.